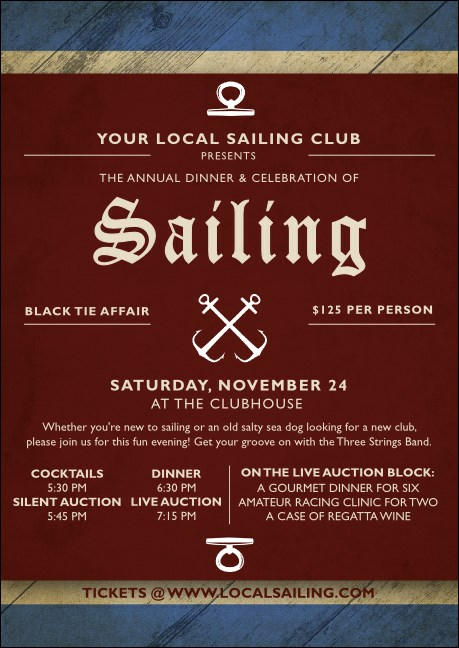 Remind your guests of a classic nautical design with the elegant Sailing Club Flyer. Printed on high quality card stock, this club flyer has plenty of room for your maritime event information, with rich blue and maroon tones and an anchor holding it down. Send a seafaring message with this enduring design. Need more materials for your sailing event? Order a Matching Event Kit from TicketPrinting.com.